The past few weekends have been pretty busy socialising with different friends so this weekend I wanted to do something a bit touristy and get to see some of the sites of London. My flatmate and I decided we'd go visit the poppy installation at the Tower of London; we'd seen a lot of pictures of it about on social media and wanted to see it in person - although in hindsight maybe a Sunday afternoon wasn't the best time to go (there were so many tourists!). The installation has been there since the beginning of August and will be until November 11th when the poppies will be picked. 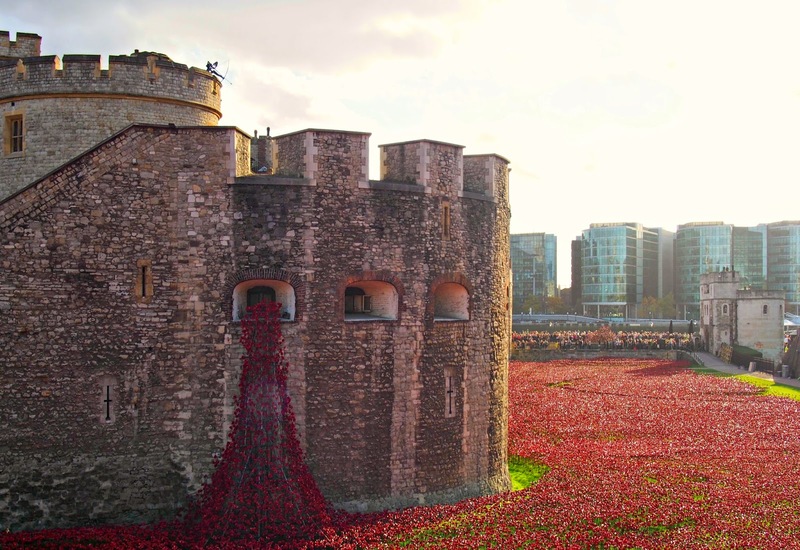 There is going to be 888, 246 ceramic poppies all together surrounding the walls of the tower, each representing a British military death in the First World War. Volunteers are still adding to the installation, each day 'planting' 7000 new poppies. 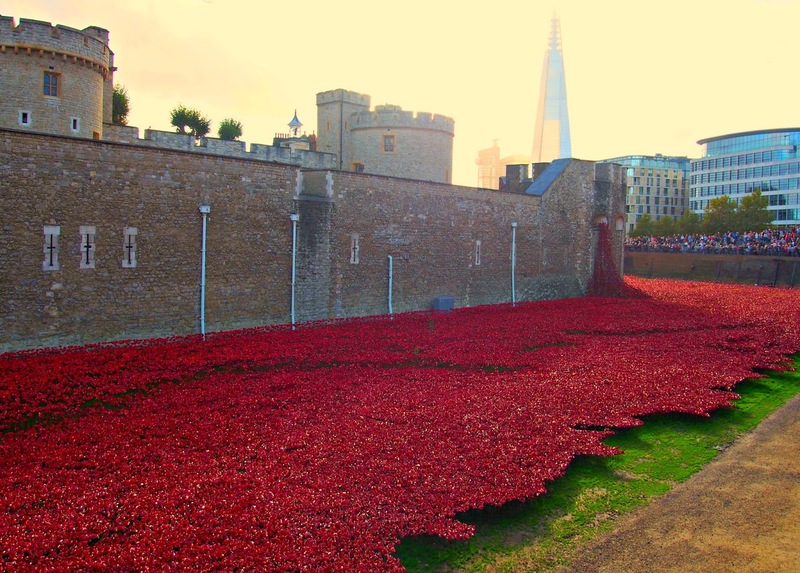 The idea, christened 'Blood Swept Lands and Fields of Red', was thought up by Paul Cummins and brought to life by Tom Piper and they have currently sold every single poppy to raise money for 6 different service charities. Whilst the photos of the installation are impressive, actually being there in person was so different as you really got the scale of how many poppies there are and the huge loss of life suffered just by Britain in the first world war. For more information visit the Tower of London's website. This area of the Thames has so many other attractions to visit, so we also went into the exhibition at Tower Bridge. 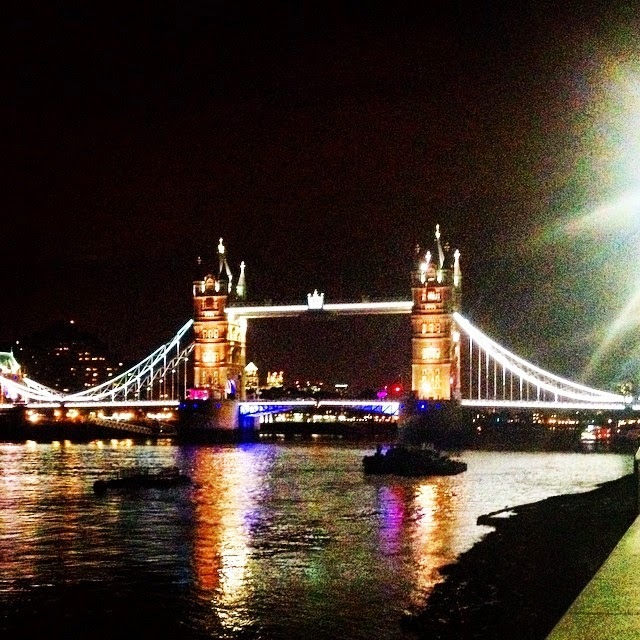 Before visiting the exhibition I had no idea that you could go into Tower Bridge but you can even event hire it out for events! It was pretty reasonably priced too at £7 for adults and there are a few different parts to the exhibition including learning how the bridge was built, why it was built, other famous bridges of the world and how the bridge operates. It was also impressive to learn that it only took 8 years for the bridge to be built! And when it opened in 1894 that it was the height to technology with its steam driven Bascules that raised the bridge for passing ships. And of course, the views at the top give you a perfect view of the Thames and the City of London, at night as well as in the day. 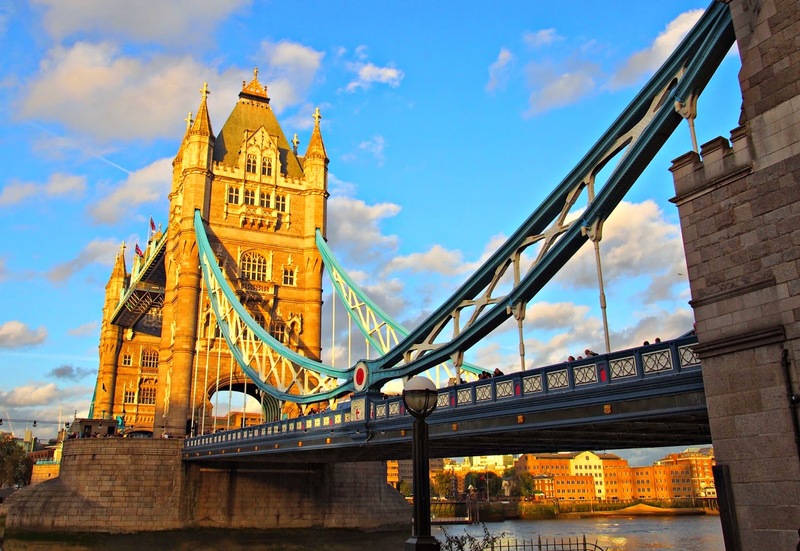 For more information see the Tower Bridge website. Have you been to either of these attractions? Please let me know your thoughts and recommendations in the comments section below!